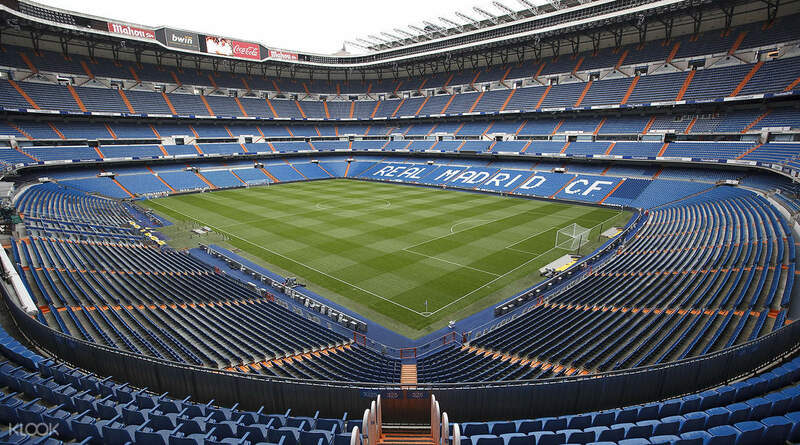 Being home to one of the greatest clubs in the world, the Bernabéu Stadium is a Mecca for football fans worldwide and a must-do for any admirer of the beautiful game in Madrid. With your entry ticket, you’ll have until closing time to explore the unique atmosphere of this prestigious venue. 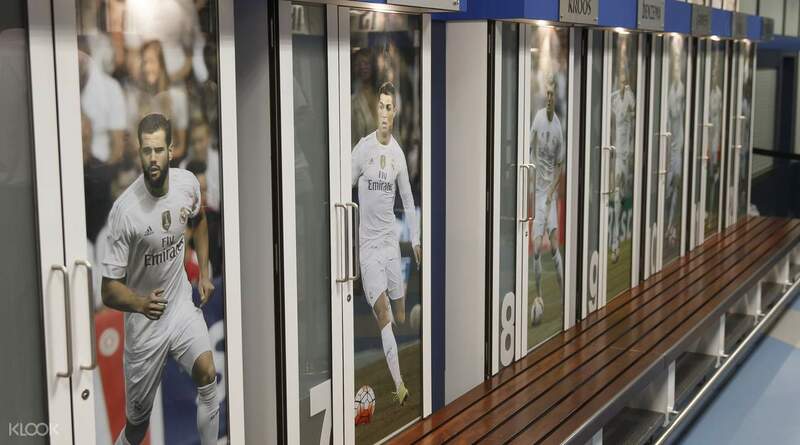 Walk through the Player’s Tunnel and visit the dressing rooms where all of Real Madrid’s legendary stars have wept, rejoiced and passed through. 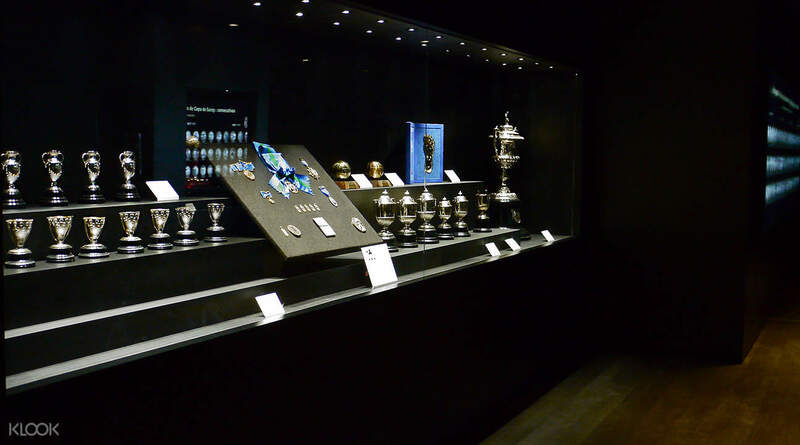 As the most decorated club in the world, the Trophy Room at Bernabéu Stadium houses a collection like no other, League and European, National and International cups and more! You’ll have the opportunity to sit in The Presidential Box, reserved for dignitaries, special guests and VIPs plus climb to the upper level and savor an impressive view across the entire stadium. One of the most memorable highlights is being able to stand in the center of the pitch that played host to countless of championship matches where it’s easy to imagine the cheers of the crowd and feel the celebratory excitement of the players when they score! After learning about the history of the club, how it rose to international success and viewing player memorabilia, you can pay a visit to the gift shop and commemorate your trip to the home of Real Madrid with an official souvenir. Enter the club's impressive trophy room, the sporting equivalent of the crown jewels! Visit the players' changing rooms, coaching areas, press rooms and more! Easy redemption and an unforgettable experience, thank you Klook. Easy redemption and an unforgettable experience, thank you Klook. It was a good experience. Ticket was easy to change at the travel agency and would have cost a lot more at the stadium itself. Tour is about 1.5 hours long and the experience is immersive. It was a good experience. Ticket was easy to change at the travel agency and would have cost a lot more at the stadium itself. Tour is about 1.5 hours long and the experience is immersive. This is a self tour. The stadium is very huge and nice. There are a lot of trophies and awards on display. Enjoyed the tour very much. This is a self tour. The stadium is very huge and nice. There are a lot of trophies and awards on display. Enjoyed the tour very much. Spectacular stadium view!! And many interactive elements made the whole experience very friendly and wonderful. Thank u tour Bernabeu! Spectacular stadium view!! And many interactive elements made the whole experience very friendly and wonderful. Thank u tour Bernabeu! 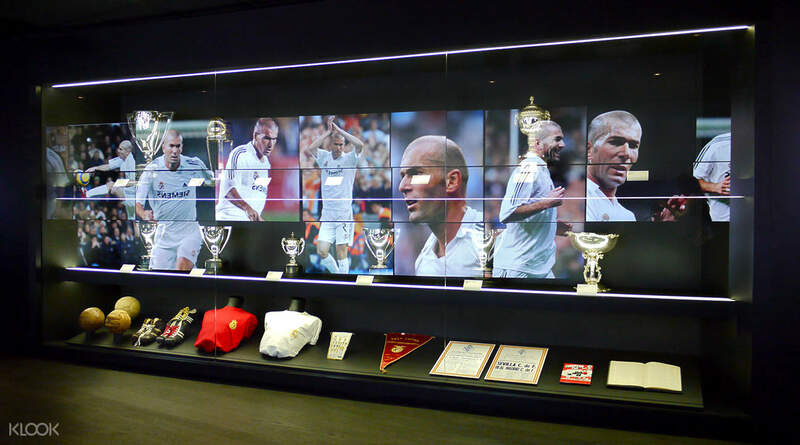 Great tour and a must-go for Real Madrid fans because you get the complete stadium experience including the players dressing room and trophy room. Enjoyed myself at the tour! Great tour and a must-go for Real Madrid fans because you get the complete stadium experience including the players dressing room and trophy room. Enjoyed myself at the tour! One of the elite stadium certified by UEFA. Whether you are Real Madrid fan, you should visit the stadium!! One of the elite stadium certified by UEFA. Whether you are Real Madrid fan, you should visit the stadium! !